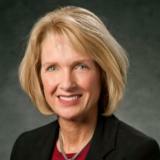 Mary Doswell is a highly accomplished senior executive leader and corporate board advisor bringing strong, diversified, operating and strategic advisement on energy utility, technology and consumer services, government-mandated regulations, as well as regulated and unregulated energy markets. She has over 30 years of diverse leadership roles with Dominion Resources, Inc., one of the nation's largest producers and transporters of energy with operations in 14 states. Mary has represented all aspects of utility services including alternative energy solutions, i.e., electrical grid, home energy and storage, solar, wind, and fuel cells. Mary was directly responsible for the development and defense of groundbreaking technology patents. And she was the lead architect of an efficiently run centralized Information Technology/Human Resources/Procurement Services Company as a result of a multi-state electric and natural gas energy merger. Mary serves in various board and consultant capacities to include her current roles as Board Advisor/Energy Consultant for a large European energy company & numerous startups in venture capital/private equity space; as Vice Chairman and on the audit and executive committees with Mutual Assurance Society of Virginia; and previously on the Audit, Compensation & Nominating, and Corporate Governance Committees of Performance Food Group, Inc., subsequently merged by The Blackstone Group and Wellspring Capital Management. Mary has held a number of leadership positions holding diverse functional and operational responsibilities, at Dominion. As an Executive Committee Member for 13 years, in the role of SVP, Mary attended full board meetings. From idea to commercial product, with CEO support, Mary enlisted the best team members from HR to sales and software employees to build a revenue generating distribution grid software startup, now with international reach and utilized by 14 utility companies. As the direct result of the combined teams’ efforts under Mary’s watch, the startup developed six patents, in which Mary was directly involved in all stages of patent filing and defense. In addition, Mary was the lead executive for the launch and implementation of Dominion’s Six Sigma program resulting in increased efficiency and significant savings in excess of $100M dollars. Among Mary’s successful development initiatives in her role as SVP of Alternative Energy Solutions, Mary was responsible for Department of Energy (DOE) grants ($50M) for Offshore Wind Energy, which included test wind turbines off the coast of Virginia, as well as other DOE grants for solar and electric vehicles. Mary also led Technical Reviews of Home Energy/Security, Storage, and Smart Grid technologies. Mary had direct responsibility for the ClearSky Fund (an energy technology fund) technology due diligence teams tasked with evaluating new technology companies ahead of investment to earn the Dominion “Seal of Approval”. Mary led the IDeaS (Innovations, Developments, and Solutions) initiative, an employee innovation program creating solutions and transforming them into viable commercial offerings and led the direct support and defense of all employee-created patents. Mary also led the development of the Dominion Resources Innovation Center, supporting the commercialization of new technologies in the Richmond, Virginia area. Mary holds a Masters in Materials Engineering with a concentration in Econometrics from Massachusetts Institute of Technology, and a BA in Physics from Mount Holyoke College, Massachusetts. Check out the incredible speaker line-up to see who will be joining Mary C. .